Yet, while these animals hang out under porches or even stroll through town, little research looks at their everyday living patterns. 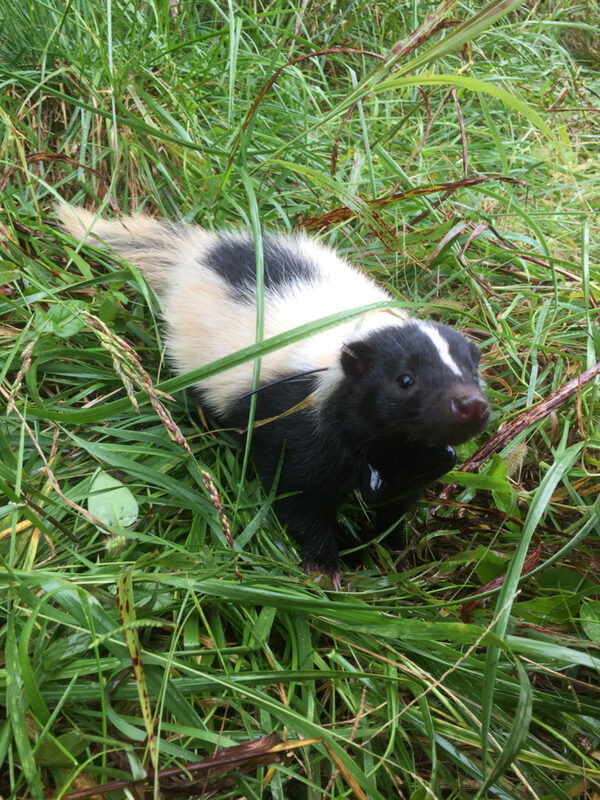 That is why a team of researchers at Southern Illinois University Carbondale are conducting a detailed study on striped skunks in the southern Illinois region to build a better understanding of the habitats and behaviors of the small creatures. The trapping started last spring and will commence again in the upcoming warmer months, with the goal of trapping 20-30 skunks this semester. The team will be trapping for the next 12-18 months, watching the animals in both Carbondale and those closer to protected parks and forests. 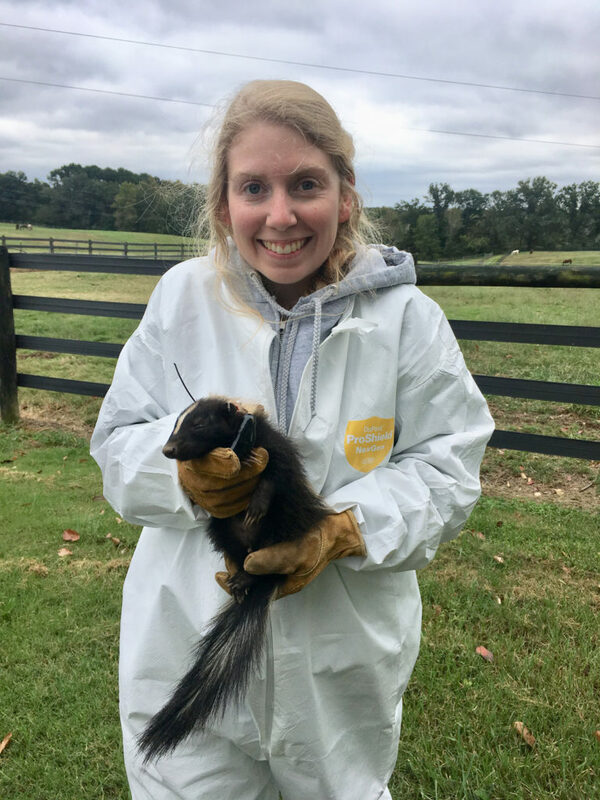 Katetlyn Amspacher with a local striped skunk (photo provided).